Always in place and safe, even for unskilled workers, guardrail is an excellent safeguard for employees and contractors working at height. 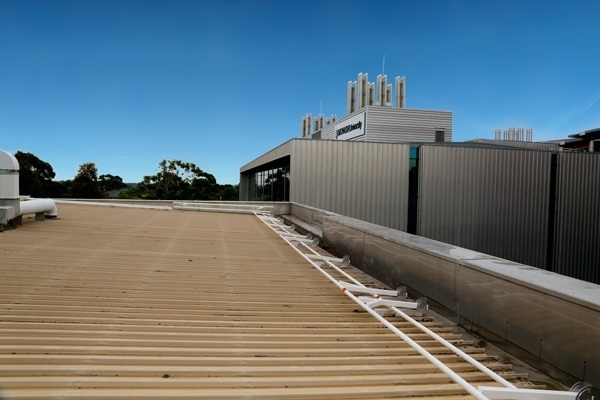 Roof oh&s has never been easier for the facility managers and building owners who install them, Defender™ guardrail is also highly cost-effective and low maintenance. 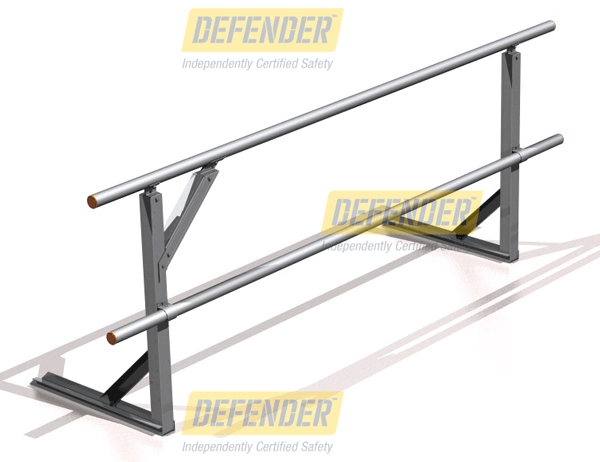 Defender™ guardrail comply with AS 1657-2013: Fixed platforms, walkways, stairways and ladders – Design, construction and installation, so you can be sure your people are protected and your liability is minimised. 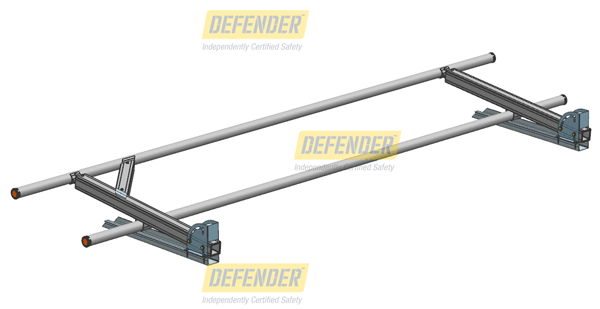 Defender™ guardrail systems have been independently tested for compliance with Appendices B and C of AS1657-2013. 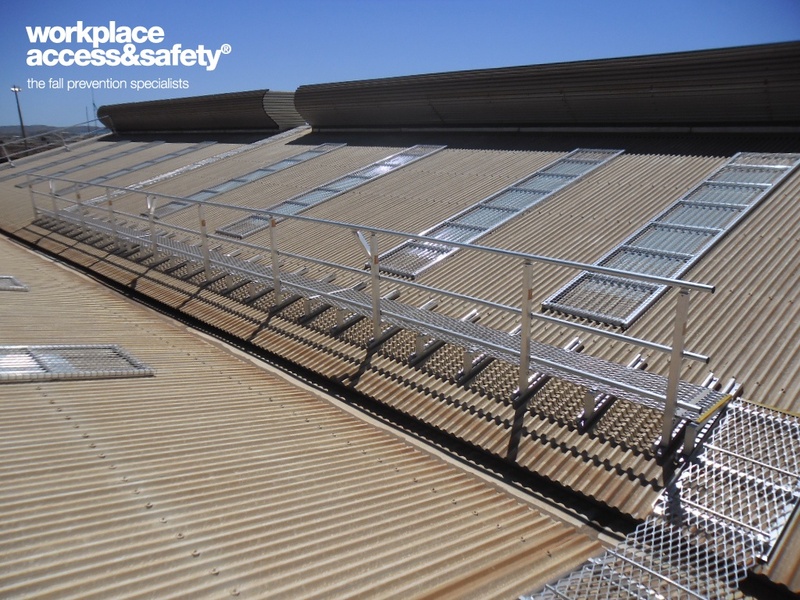 Walkways and guardrail are preferred by state workplace safety authorities over most other types of fall prevention, like roof anchors, static lines and harnesses. 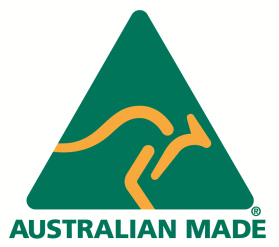 Read more about how guardrail fits into the hierarchy of controls here. 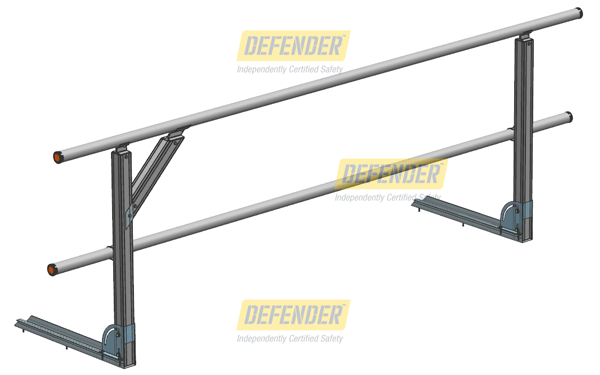 So there’s no delay in implementing your height safety controls and roof oh&s, Defender™ guardrail are stocked in our warehouse in kit form to suit all standard roof and platform profiles. Aesthetics are considered right from the design stage. 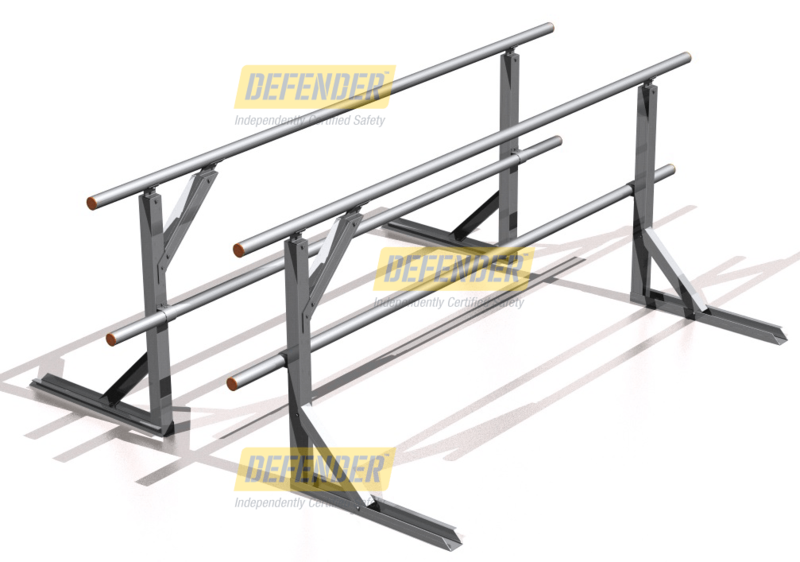 Defender™ guardrail can be powder coated or painted to match your building. When you need all the safety and ease of access a guardrail provides without the visual impact on your building’s aesthetics, choose Defender™ fold-down guardrail. Activating Defender™ guardrail takes seconds. Simply raise them from their horizontal resting position and let them slide into place with a positive click. To make them disappear again, just lift and lower. 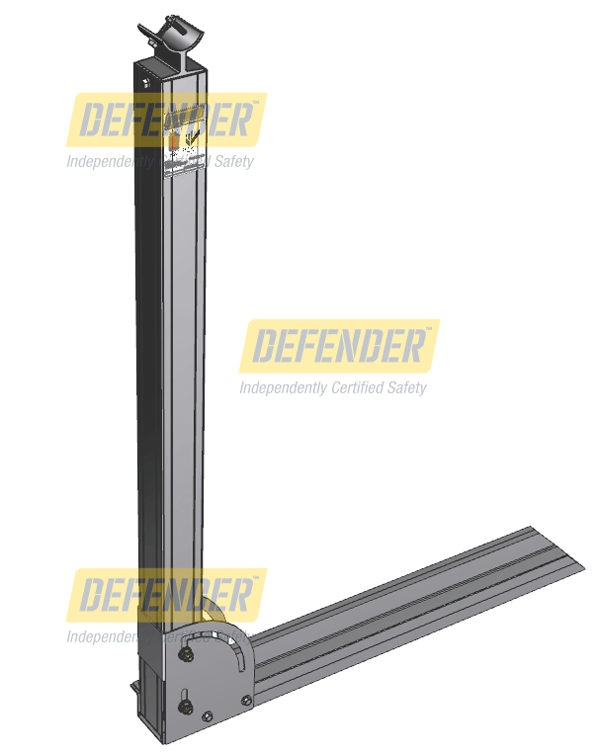 Defender™ access and safety equipment is designed by engineers, tested in our specialised NATA™-accredited facility and installed by factory-trained installers. 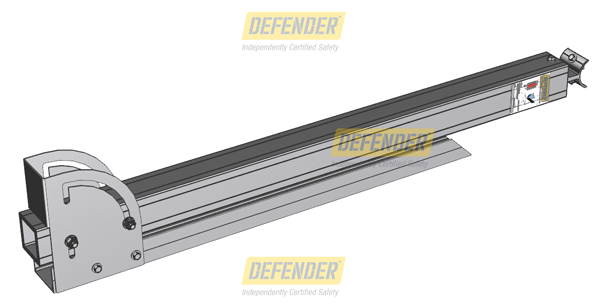 Defender™ guardrail fully comply with the National Construction Code (formerly the BCA), AS 1657, OHS legislation and state regulations.